Dress up, dress down, dress to impress – there’s a Falconhead boot, belt and buckle for every occasion in your life. As many of you know, Falconhead has the most extensive collection of handmade original boots, belts, and buckles in the world – the reason why so many boot, belt and buckle collectors shop at Falconhead, the only store of it’s kind. Falconhead is more than just a trendy signature. Our reputation has been established on the timeless values of exceptional quality, service and customer satisfaction. Falconhead Boots Belts & Buckles are the ultimate – the finest made in America – using the knowledge of old traditional craftsmanship and keeping in mind today’s lifestyles. Denver sure was cold but we found and bought lots of great merchandise for the months to come!!! Keep your eyes peeled for great new inventory in Buckles, Apparel, and kids stuff!!! 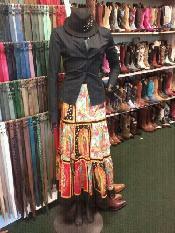 Like this great Guadalupe Skirt! 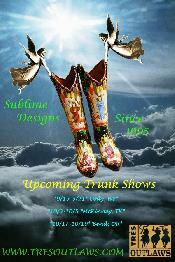 The Gypsy Rose Collection will be debuting @ the Western Design Conference in Jackson, WY!!! Hello all!!! Due to recent spikes in both the prices of silver and gold. 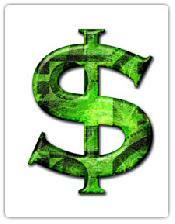 Please call for current pricing on any buckle you see on our site, as prices are subject to change anytime! Hello again thanks to everyone for their patience while the site was down, new products are coming in fast, hats, kids boots, jewelery, and clothing will all be updated very soon. Welcome back to the finest things in dress western!!! Special shout out to my man Jim Bull for helping us put the pieces back together!! You da Man, man! Seasons greetings! New additions to ladies' and men's apparel, leather goods men and ladies, kids rags, and kids footwear, as well as ladies sale boots. Will be loading lots of new stuff soon so be sure to check back! Come Visit Us in the mountains! This summer! To everyone who joined our mailing list before November, hope you enjoyed your discount!!!! To those who just joined, thank you and look for future discounts in your inbox!! Find out where and when you can find Tres Outlaws Boots on Tour! Attention boot lovers! Great styling now also available for your little ones! Please see Our Products ==> Kid's Gear ===> Footwear. Uncle Scotty found some great new stingray colors. Get them while they're hot. For a limited time only. Once they are gone, they are gone forever. Support your local Bootmaker! Tres Outlaws Baseball caps now available!!! New Products Now up in handmade hat section! View select styles From Stetson, Greeley, and Rand's. Why not accent your boots with a matching breifcase!!! Brought to you by Scott Wayne!! Please inquire for pricing & see Scott Wayne Designs for more pictures. New Pictures up in the "Arndt of the Boot" section under our products, most wanted boots. Many thanks to Jim! Thanks Roseanne! Another Scott Wayne orginal. Tres Outlaws Boots on tour again! Next Trunk show Feb 29- March 2nd. At Will Wyatts in Overland Park, KS (913)-681-9455. Come out and see the boots you love in person! Chawne will be on site for all your fitting and design needs! Bandanas to accent any outfit. Less than $5 a piece. Get ready for fall vacations. With new Hawaiian Shirts! Our Products Hawaiian Shirts. Thanks to all who made comments about men's sale boot section. It is now fully updated. Get em while they're hot! We didn't forget about you ladies! Ladies Apparel Updated as well! Ahh, fall. For guys that means football season, baseball playoffs, and those awesome, comfortable, fall colors. Check under our products men's apparel to see whats new for fall. Al Sommers and Falconhead featured in the Best of LA 2007! 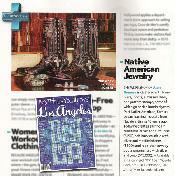 Best Native American Jewlery! New, Acid-washed hair-on collection. Short tops, mule ears, simple stitching, and sterling silver. 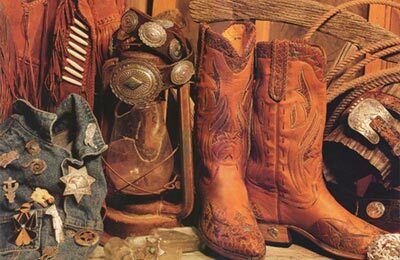 See "our products => most wanted boots => Boot collections," to see them. Check out boot collections for more of Melanies creations. "Our Products ===> most wanted boots ==> Boot collections"
The Club is Growing!! More members are joining every day! Why haven't you Joined yet? Be a part of "the YF Club!" What is this exclusive VIP club???? You'll have to call to find out. See Logo Boots for more photos. Choco Croco Bombs! 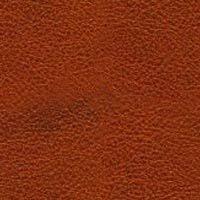 New Garment tanned crocodile. Surprisingly soft and elegant. The Ultimate in foot luxury. Get your's today! Available in chocolate, black and peanut. New hot stuff! Be the first to get one!!! Tres Outlaws Boots coming soon to switzerland!!!!! Thanks to Two of our new friends Markus and Claudia (seen here with scott and charlie) who traveled all the way to El Paso From Switzerland. Just to see production of and purchase the finest boots in the world. John Kerrys boots are finally finished. Here they are, totally tooled fillagree with chocolate lizard underlays. Soles even tooled with chocolate chip cookies. Got milk? Another Satisfied Customer. Kolene Marie and her new boots! Tres Outlaw boots make any christmas, merry. EXTRA! EXTRA! 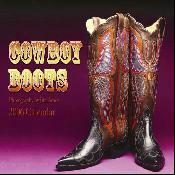 We made the cover of the 2006 Cowboy Boot Calendar! Just another example of our hard work and pride in what we offer at The Tres Outlaws. The Cowgirl Hall Of Fame! Scott Wayne and Mary Margaret with Manuel. WAIST JUST A MINUTE! Is that Mary Margaret and Kristine Elizabeth? You bet ya! Please visit the newly updated "The El Paso Facility" under the "Tres Outlaws" section to see the factory and bootmakers! Here she is again Camie! Due to popular demand we added another shot of her showing off her boots. The reigning redeo queen of Oregon! We at The Tres Oultlaws Boot Company can attest to her sunny disposition! Judge Joe Brown Here we have our leader, Scott Wayne congradulating "The Judge" on his very special custom hat! Our good friend and long time, 14 year, customer visits with Scott! News Flash! Extra! Extra! 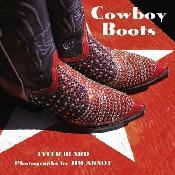 We made the cover of the brand spanking new Cowboy Boots book. See you all on the road. "Cowboy Boots is a close up look at the veritable trunk show of some of the most impressive cowboy boot designs from the most prestigious and famed bootmakers in the world." June 23, 2004. Good things come in threes! Michelle Branch finalizes her boot order with our designer, owner and inspiration Scott Wayne! June 23, 2004. Lori Jean Swanson, one of Hollywoods leading make-up artists laughing it up with our fearless leader Scott Wayne! She has a boot named after her, The Lori Jean. Visit, The Art of the Boot section for a look see. June 23, 2004. The stars come out during the day at Falconhead. One of our very special customers; Jennifer Tilly, pays a visit to Scott Wayne. The Governor just left! Scott Wayne and Governor Schwarzenegger finalize the custom design commission for the next piece from Falconhead! Proclomation! and I quote "Scott, the last pair of boots were a 10."